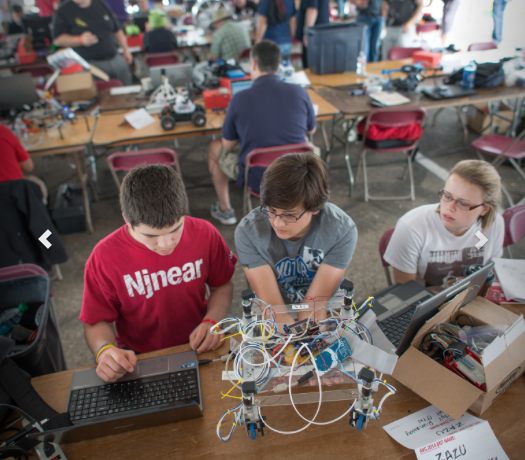 May 2, 2016 – Teams from all over the world will converge on the SparkFun Electronics headquarters in Niwot, Colorado on Saturday, September 17, 2016 for a fun series of competitions. SparkFun’s signature event celebrates ingenuity, inventiveness and good-natured robotic competition. Teams must enter home-built vehicles that will circumnavigate a pre-set course with various obstacles and challenges without any human intervention. Team registration is now open for the legendary Autonomous Vehicle Competition (AVC), which, for the first time, will also include a course for the Power Racing Series (PRS) and, for the second year, will feature an arena for Combat Bots. Participants comprise an endless range of inventors — including independent engineers and hobbyists, corporate teams, robotics clubs, families, and K-12 school and university teams. All top finishers are recognized—see the rules for details. Classic AVC: Participants build autonomous vehicles weighing under 25 lbs that can jump ramps, make right turns and left turns, and self-navigate a squiggly course. 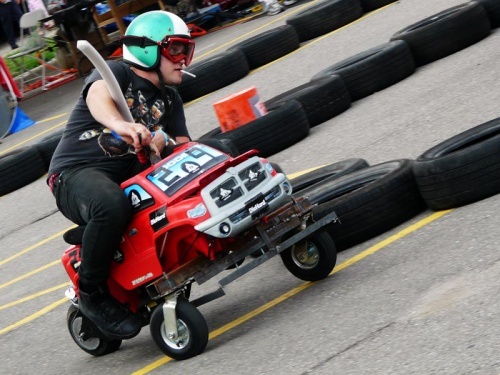 Power Racing Series (PRS): Built from power wheels, these vehicles are human driven and partake in multi-lap group races. Participants are known for costumes and a fun hacker attitude. Autonomous Power Racing Series (A+PRS): Combination AVC and PRS. Bonus points for having a human on board an autonomous souped-up power wheels vehicle. Combat Bots: One- or three-pound fighting robots (antweight and beetleweight) fight to the death (or at least until time runs out). These competitions are open to the public and general admission tickets will be available soon. In addition to the races, there will be food trucks, music, SparkFun tours, expert speakers, and an engineering corner.